Whether you own a start-up business, small business or manage part of a mega corporation, processing payments is a vital part of your success. One of the worst things that can happen is that you must turn a customer away simply because you can’t process their payment type. These days, many (if not most) consumers use cards, either credit or debit, to make payments. Cards are generally easier and safer than cash, and more convenient. Many consumers also enjoy using their cell phones to make payments using the Google Wallet, Apple Pay or Android Pay. Knowing your business inside and out is the first step to choosing the right credit card processor. If you have a high-volume business where cards will be processed constantly throughout the day, you need a service that can handle that. You’ll require more advanced technology, and you will likely need a service that offers multiple types of payment technologies. In addition to a standard register terminal, you may need a mobile device payment processing tool, a virtual terminal (where clients can pay through a website), or other tools. If you will process a low volume of credit card sales –generally under $5,000/per month, you probably should start with PayPal or Square until your business grows. Once you consistently exceed the $5K per month volume, then getting a full merchant account will benefit your business and you have less risk of your funds being held. 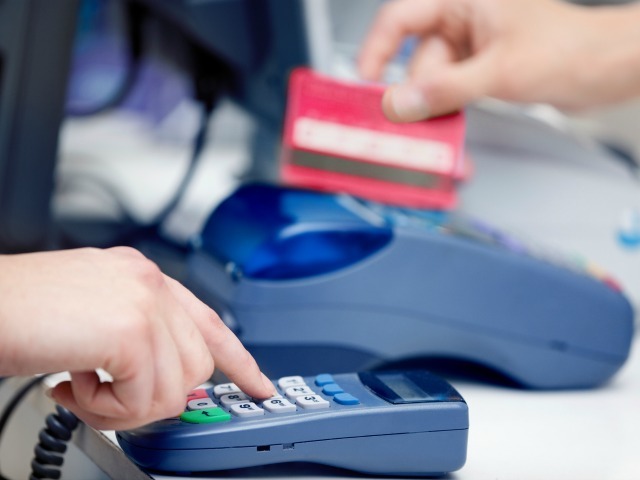 The costs of credit card processing can add up very quickly. This industry charges for almost every aspect and feature, so you need to be sure that you know how to negotiate and get everything in writing. You will probably see specific fees on a payment processing contract, including: a fee per every transaction; a setup fee; a rental or lease fee on all your equipment; a monthly flat rate for the processing service; a PCI compliance fee, etc. In addition, most processing companies require a contract, and do exercise an early termination fee if you choose to leave the contract early. Make sure you clearly define how this fee is charged prior to signing the contract. One of the biggest issues with the payment processing industry is the lack of transparency with pricing. It’s also very important that you do not make your decision solely on pricing. Time is money. Research the companies you are interested in pursuing by checking their BBB rating, online reviews, and testimonials from your existing contacts. Customer service can be a nightmare when dealing with some processing companies. Make sure you understand who you will be calling should you have a question or issue. Also, many merchants think their bank is the best option for them. Many banks do not have a merchant services department locally. The banks generally know very little about payment processing and cannot offer the best solutions for diverse business types. Finally, once you’ve narrowed your search down to a credit card processor that can handle your volume, and matches your budget most closely, you should consider what other features you will need. For example, do you need the ability to process gift cards, mobile payments, ecommerce, and online payment portals for your customers? Which services on your list offers the most reliable processing and fastest funding times? You should partner with a reputable credit card processor that fits your needs, your budget, and offers the most valuable features to your business. Be diligent in your research so you can make a wise, informed decision.